Steve Harrison, TimeStorm. Elsewhen Press, 2014. Pp. 359. ISBN 978-1-908168-44-3. £9.99/ €11.99/$17.99. “The past is a strange country” is the sort of metaphor that has a tendency to be overused because it is often so very apt, especially in cases like time travel stories. What better way to immerse a reader than by explaining the foreign language of the commonplace, or exploring geography that was once familiar and is now exotic? Books like Diana Gabaldon’s Outlander series have become new classics for how deftly they handle the transition between old and new worlds. 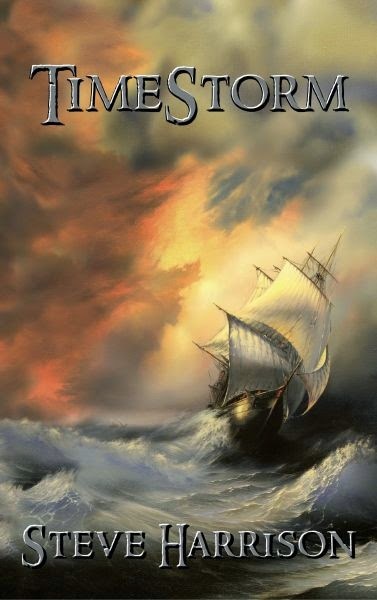 Steve Harrison’s new novel, TimeStorm, although it falls a little short of its premise, is an entertaining attempt at an experiment in this vein. Silvia Moreno-Garcia, Signal to Noise. Solaris Books, 2015. Pp. 336. ISBN 978-1-7810-8299-7. $9.99. 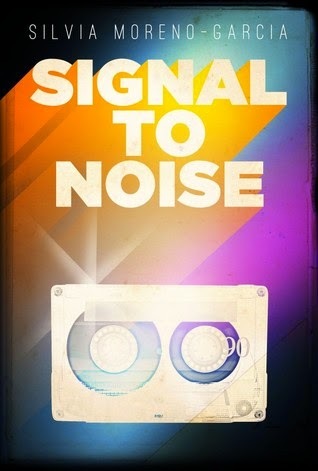 Signal to Noise by Silvia Moreno-Garcia, published by Solaris—a small press particularly keen on talent scouting—is a captivating story about friendship, music and magic, set in Mexico City. The book tells the adventures of an improbable group of friends in their teens, Meche, Sebastian and Daniela, who discover they can cast magic spells using music records, and decide to use this ability to improve their lives. Or so they think. Talented author and editor of dark-leaning speculative fiction, Moreno-Garcia has put aside (almost completely) her creepiest tones, and produced an easy to read (and like) debut novel; a pocketable time machine able to awake memories you didn’t think were still so vivid. 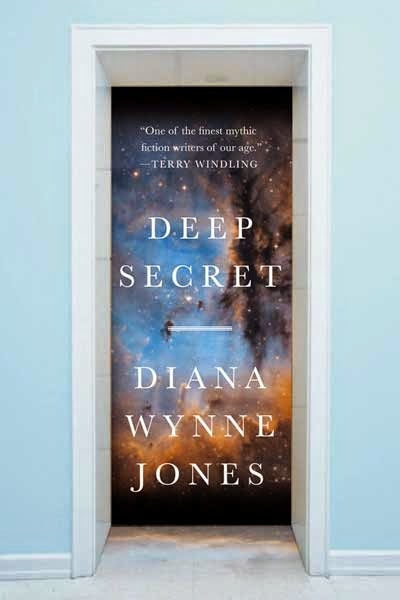 Diana Wynne Jones, Deep Secret. Tor Books, 2014. Pp. 414. ISBN 978-0-7653-3807-5. $16.99. Bart R. Leib (ed. ), Fierce Family. Crossed Genres Publications, 2014. Pp. 168. ISBN 978-0-6159-5023-5. $11.95. 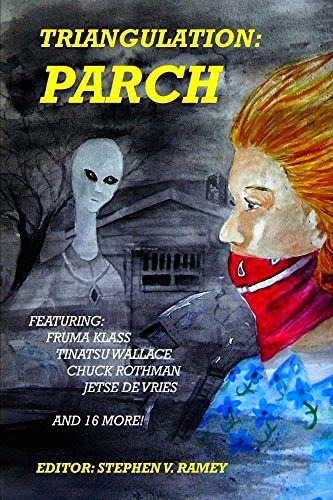 This anthology from the praiseworthy Crossed Genres small press, famous for the diversity as well as the quality of their short fiction output, has perhaps the most brilliant concept behind it that I’ve heard all year. 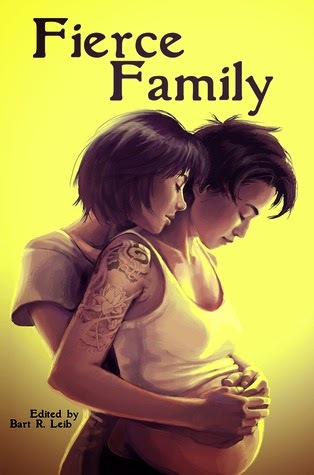 Queer families, not dysfunctional, or tragic, or torn apart as so common in genre fiction, but standing together, loyal, strong, fierce. It’s a beautiful concept, and this slim anthology of fifteen short stories does some lovely things with it, bringing an impressive breadth and range to play on the theme. Individual pieces vary in quality, offer stories that sit closer or further away from the central concept, span the spectrum from hard SF, high or urban fantasy, through near-contemporary social speculation, and include both gritty, tragic plots and more light-hearted, fluffy stories. Perhaps a little uneven in overall quality in places, this is nevertheless one of the more memorable SF/F anthologies I’ve read this year. Paul Roland, The Curious Case of H.P. Lovecraft. Plexus, 2014. Pp. 136. ISBN 978-0-85965-517-0. £14.99/$19.95. Paul Roland’s flawed but interesting biography is a record of a flawed but interesting man, designed to fill a need for “a popular but comprehensive biography” as opposed to the plethora of academic/scholarly treatments of Lovecraft which, Roland indicates, weren’t easily accessible outside the USA when he began the project twenty years ago. Now, perhaps, too much is written about Lovecraft, although much of this is partial and partisan, and Roland does his best to steer through some of the controversies and speculations without losing sight of either the facts of the biography and the substance of the fiction. He offers, for instance, the common suggestion that Lovecraft had Asperger syndrome (which of course had not been conceptualised in his lifetime), but notes that for each instance of Lovecraft’s Asperger-like behaviour other explanations can be offered. He several times notes, and is rightly judgemental about, Lovecraft’s attitude to race, which was extreme enough to be commented upon unfavourably in his lifetime. 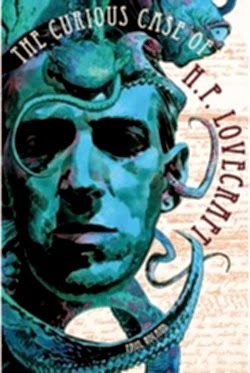 His chronological approach allows him to take Lovecraft’s fiction and comment upon it in the context of his life. This allows attention to be given to those earlier works which seem nowadays to be increasingly overlooked: the “dreamer” fantasies such as “The Dream-Quest of Unknown Kadath” and “The White Ship” which are as important to Lovecraft’s rejection of the world as “The Horror at Red Hook” and “The Shadow over Innsmouth”. For those new to Lovecraft, this is interesting and worthwhile. Stephen V. Ramey (ed. ), Triangulation: Parch. PARSEC Ink, 2014. Pp. 201. ISBN 978-0-9828606-6-3. $15.00 pb/$4.99 e.
Triangulation: Parch contains twenty lively, intelligent stories on the theme of drought or thirst, actual and symbolic. It is the seventh annual Triangulation collection, produced by Parsec Ink, the publishing division of PARSEC, a Pittsburgh-based science fiction and fantasy organization. In an “Afterward” (sic), editor Stephen V. Ramey describes the mission of the semi-pro Triangulation volumes: “Collections such as ours are useful in working the kinks out of a swing, learning to drive with power, or field your position. We are a stepping stone because we work with authors to improve their craft.” Would-be contributors submit stories in response to a prompt: “Morning After,” “Last Contact,” “End of the Rainbow,” “End of Time,” “Taking Flight,” and “Dark Glass” (subtitles of the previous Triangulations collections). In his headnotes and footnotes to Parch stories, Ramey describes working with contributors through successive drafts and submissions.